← Check out my main magic website! Blue and Gold Magician NC. Cary Face Painter and Cary Face Painting Company. Cary Face Painting, Cary Face Painter North Carolina. 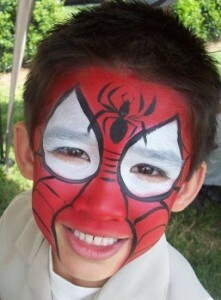 Looking for a Cary Face Painter or a Cary North Carolina Face Painter? Your search is over, you found an incredible Face Painter in Cary North Carolina. David’s team are highly trained artist with 10 plus years experience. Amazing boy designs from super hero’s to animals and scary monsters and girl designs from princess to butterflies and Disney characters. This Cary Face Painter and Cary Face Painting Company is ranked #1. Get a five star Cary Face Painter and Cary Face Painting Company. We perform at birthday parties, schools, churches and company events. Cary Face Painter. Cary Face Painting. Face Painter Cary NC. Great for Birthday parties, festivals or church events. Cary Face Painter has 10 years experience. Face painter Cary is #1. Call for a quote for this Face painting Cary. My team offers amazing designs and top quality work. I can send you plenty of pictures of our work! Cary Face painter or Cary Face Painting serves all of North Carolina. Give us a call 919-266-1682. Best Rates for Face painting in Cary. Cary Face Painter will be face painting in Cary, North Carolina at Z Pizza located at 96 Cornerstone Dr in Cary, (919)465-9009. On December 14th from 6pm – 730pm, this Cary Face Painter will be performing at Z Pizza and it will cost you nothing! Magic By David and Co. will be “appearing” at Z Pizza in Cary, North Carolina this Wednesday, December 14th. Enjoy great food and entertainment all at Z Pizza. The children will amazed as they are transformed into a character of their choice. Get out that camera….you’re about to experience a cuteness overload! That’s right, one of David’s wizards will be performing face painting and balloon twisting – for free! What can you get in balloon twisting? Anything under the sun – crazy twisted hats, aliens, pirate swords, space ray guns, not to mention flowers, butterflies, and any animal from a dog to a giraffe. At Z Pizza you can also get painted! 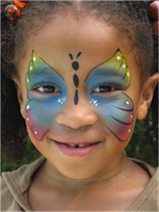 From small designs to full face painting, kids of all ages will enjoy face painting. When you visit Z Pizza in Cary you can get both services – both face painting and balloon twisting for your children at no charge when you come in for great food. Come for fun times and great food. Bring your friends and family out to see Magic By David and Co. perform face painting and balloon art at the Cary location Z Pizza. Free slice for child with adult purchase. Beer and wine. Delicious, healthy, brick oven pizza. Winner best pizza Raleigh (City Search) Cary (Cary News). Looking for a Cary Face Painter? Magic by David and CO. now offers face painting and balloon twisting. Cary Face Painter available for any occasion this will make your event unforgettable. Great for birthday parties. It’s a must for your festival. Perfect for schools and churches. Anyone needing Face Painting in Cary North Carolina give Magic by David and CO. a call. This Cary N.C. Face Painter can be reached at 919-266-1682. Make your tot’s big day an explosive celebration! Bring some magical fun to your kid’s next birthday bash with unlimited face painting and balloon twisting! One of Magic by David’s entertainment wizards will “appear” to amuse and delight for one hour of your kids party. Longer for schools, church events, or festivals. Imagine the veritable menagerie of critters who will populate your child’s birthday party! Not to mention the smiling faces of all the little party animals in attendance, painted specially for the occasion. Get out that camera, Mom…you’re about to experience a cuteness-overload! So, whether it’s a child’s party, holiday get-together, girl’s night out on the town, company party, family reunion, or any other occasion, we offer something for everyone! We have a team of professional painters standing by to serve any sized event, so give us a call! We can create Face Painting designs around your party theme – carnival, sea, sports ,princess, super heroes, beach party, Disney characters, rock star = or any other theme – let’s get you Painted ! Magic by David offers lively and entertaining party options to add color and fun to your child’s big celebration! One of David’s entertaining team members comes to impress – performing unlimited face painting and balloon animals. For birthday parties, schools, churches, or any event – it will be zany and amazing! What you can get in balloon twisting – crazy twisted birthday hat balloons, aliens, pirate swords, and space ray guns – not to mention flowers and butterflies and any animal from dog to giraffe to anything under the sun. Also get PAINTED – from small designs to full face painting! When you book you get both services – both face painting and balloon twisting! David is a full time entertainer with over 10 years experience offering magic shows, balloon animals, face painting, and more! So when you need Cary Face Painters look no further. Hire the Cary N.C Face Painter and Balloon Twister at a low cost. So don’t miss out call Magic by David 919-266-1682 or www.davidmagic.net to book your event for N.C Face Painting and Balloon Twisting. 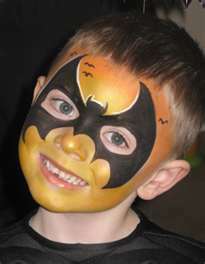 Cary Face Painters for Cary Face painting for birthday parties or special occasions. Birthday Party Entertainers in Raleigh NC, Cary NC, Durham NC, Chapel Hill NC, and Fayetteville NC. Children's birthday parties with clowns and animal birthday parties. Raleigh Birthday Parties, Durham Birthday Party Entertainers, Chapel Hill Birthday Parties, Cary Birthday Party Entertainers, Fayetteville Birthday Parties, Triangle Birthday Party Entertainers. Face Painting, Balloon Twisting & Balloon Animals for Raleigh NC, Cary NC, Durham NC, Chapel Hill NC, and Fayetteville NC.